We've beaten back the biggest and worst parts of the Trump legislative agenda so far. on our social contract and national wealth in a generation. to the 1% and tee up transformative cuts to our social fabric. D3 Indivisible is joining with local Indivisible chapters and allies across Western and Southern Colorado to fight the Trump Tax Scam. We will be publishing regular updates on developments in the new tax bill and local actions, and sharing cutting-edge organizing tips, strategies, and techniques that you can use to fight the good fight in your community! On Thursday, Congress unveiled its tax bill. All these proposed cuts are designed to fund tax breaks for mega-donors and the super rich. 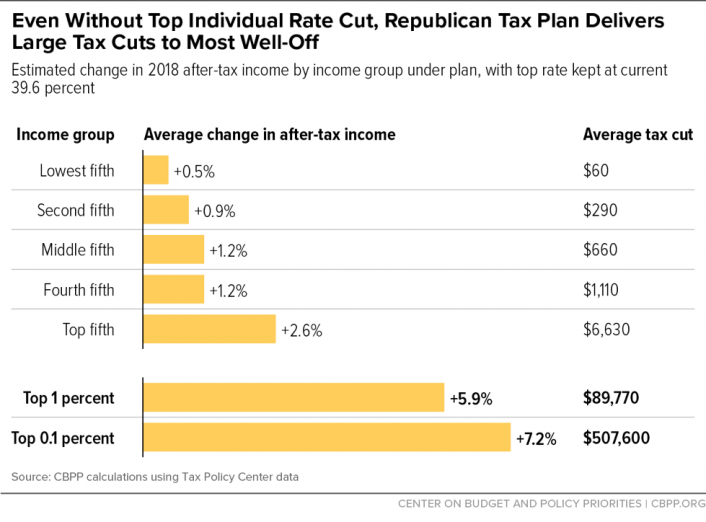 While also ballooning the deficit, they provide a pretext for future transformative rollbacks to basic social contract programs including Medicaid and Medicare, Social Security, education, and services for working families and seniors. A tax cut designed to boost the economy and American strength would bolster consumer spending power through working family pocketbooks -- not by abetting more luxury spending by the already rich. A tax cut designed to build the future would prioritize investment in new skills, infrastructure, research, technology, and productive capital formation -- not by rewarding the current winners of a rigged economic power structure. This tax bill is the greatest assault on public resources and the social contract we’ve witnessed in a generation. If it passes, we will be paying the price for just as long. If it is beaten back, the impotence and radical betrayal of the American people by this administration will be on full display for all to see. Our own Rep. Scott Tipton and Sen. Cory Gardner will be voting on this colossal theft of American wealth. We need leaders to defend our communities and our country. D3 Indivisible volunteers are working to cut through the turmoil of the news to keep you and community leaders across Western and Southern Colorado up to date on the developments that matter. We are committed to disseminating cutting-edge and powerful organizing tips, strategies, and techniques for communities to fight back and hold their representatives to account. Get connected with actions in your area and receive tips for your organizing toolkit!